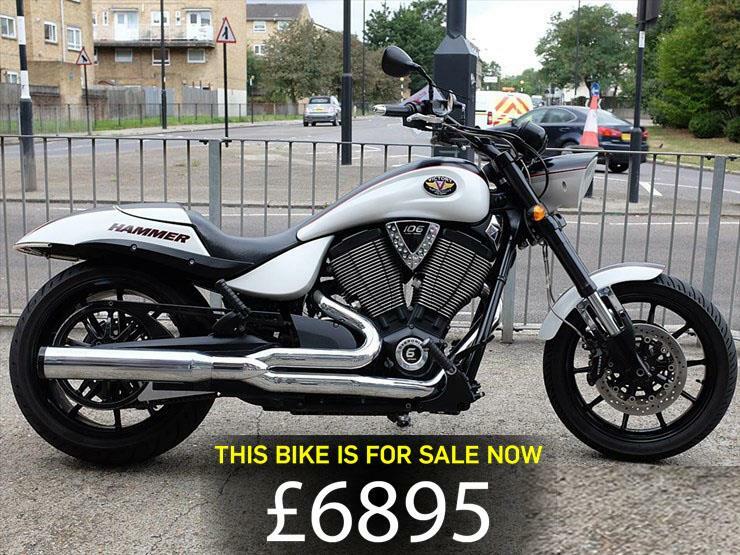 In honour of Victory Motorcycles announcing they will be ceasing production, today's used bike of the day is this 2010 Victory Hammer. "Four previous owners. 15,620 miles on the clock. 1750cc engine and registered March 2010." "Victory’s second generation customs (which also includes the Vegas, 8-Ball etc) are a world on from the original V92 clunkers and, on paper at least, have more than enough to give Harley-Davidson a run for its money. The Victory Hammer is no exception."